Discussion in 'GPS Tracks - Central, Texas & Gulf States' started by Cannonshot, Jan 15, 2010. 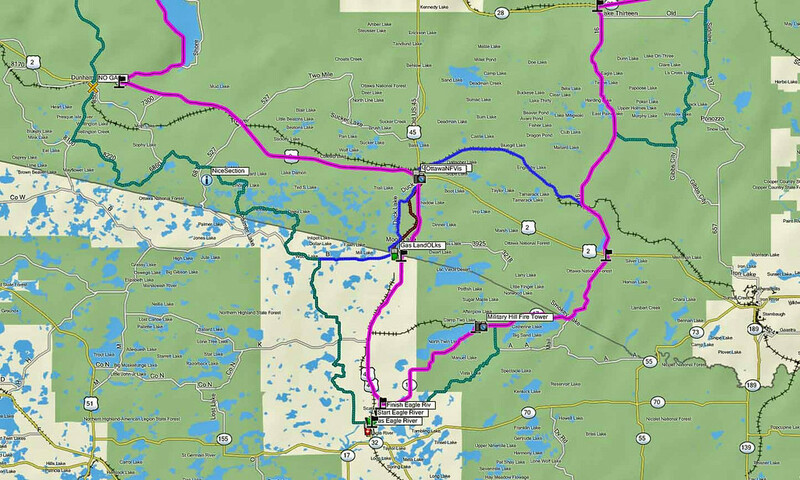 This is a new dual sport track for those who may base out of Eagle River, WI including those who attend the Central ADV Rally. This ride includes tracks for a more dirt oriented path and a route for big bikes that parallels the track but is more street oriented. This track is intended to be ridden as an overnighter. There is a lot to take in along the way. 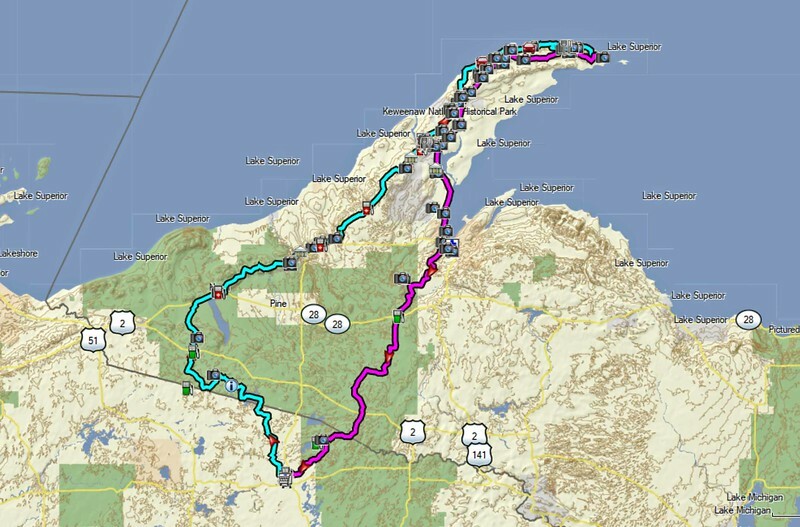 Camping is available at the tip of the Keweenaw Peninsula at High Rock Bay. 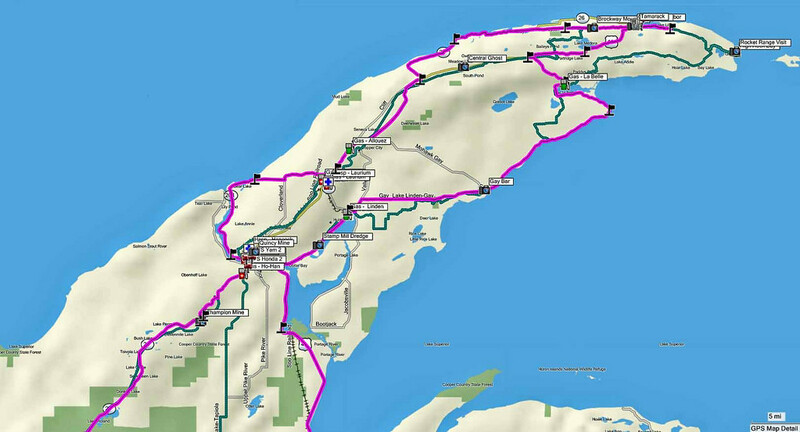 Motels are available in Copper Harbor (along with State Park camping). Dirt track. 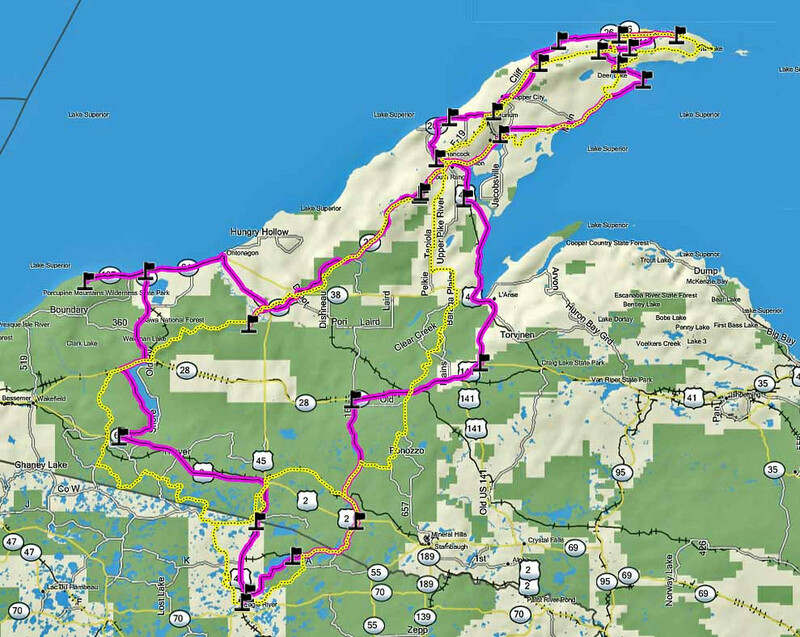 Ridden clockwise, it is about 215 miles from Eagle River to the tip and about 201 miles back to the start. 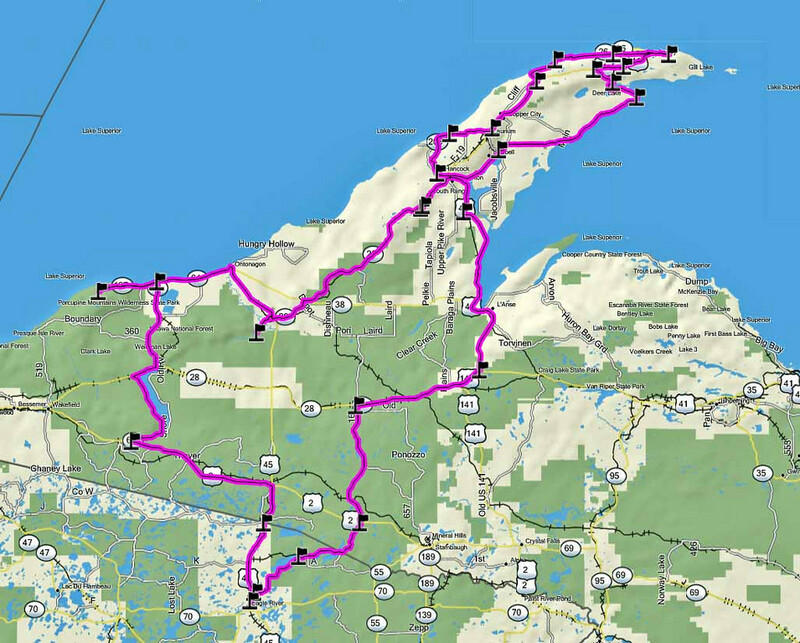 You will need a Michigan ORV sticker to ride the ORV trails that are part of this route. That sticker can be purchased on-line at http://www.mdnr-elicense.com/welcome.asp. 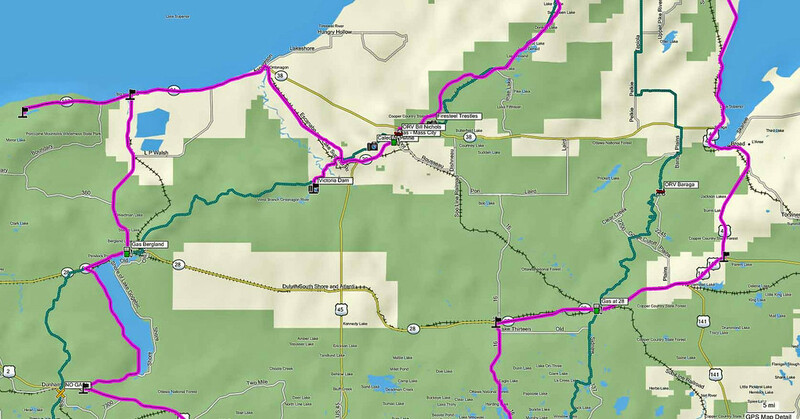 Big bike route. The route is 416 miles long and is divided approximately the same as the dirt track as far as daily mileage. The two together. This is set up so that mixed groups of dirt and big bikes could make the "same" trip and meet up at certain points of interest along the way. Right now I can't get GPX files to upload, so if you want the track PM me with an e-mail address and I'll send it right out. Here is a link for an interactive map of the dirt oriented track so you can zoom in and take a look at the terrain. Hey CannonShot - Fellow WI rider lurking in here for a while now. Getting ready to gear up for this Adventure riding. Just got my 60CSX and realize there is a lot to learn. Thanks for these tracks - they have been helping to stoke the fires of my new addiction. your contribution here is very appreciated! this was my first long distance off-road ride and it was great. thanks for the gps tracks. Replacing lost file. 466 views on previous track catalog site. 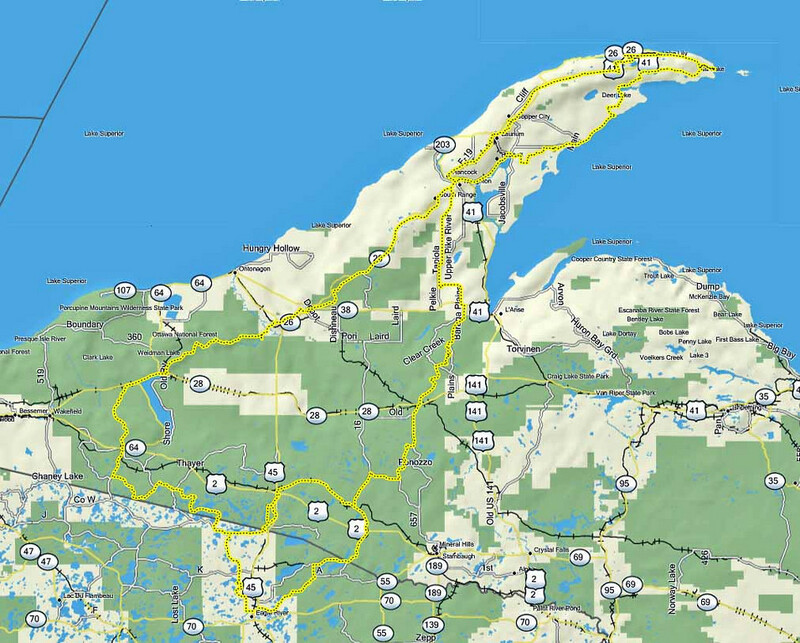 This is a custom version of the Eagle - Keweenaw path that I did for someone. Others may enjoy it. It is about 420 miles long.